Honeyberry is a fruit from Eastern Siberia. It is one of the hardiest fruits and can with stand low temperature upto -50 C. It has been introduced recently into the Canadian market. 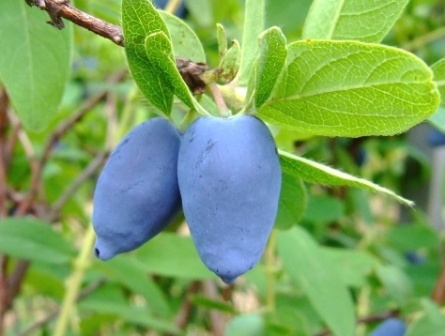 Honey berry is considered as one of the fruits of future. The fruits taste like blueberries but with an after taste of honey. Another special feature of this fruit is that the berries mature at the end of March when all other plants are still dormant. Fruits elongated, borne in clusters, bluish purple, very early ripening. Seeds tiny, can be eaten alongwith pulp. Honeyberry fruits are very tasty and one of excellent fruits for eating fresh. These are good for eating on ice cream. The fruits can also be frozen for long and can also be made into jam, jelly and juice. 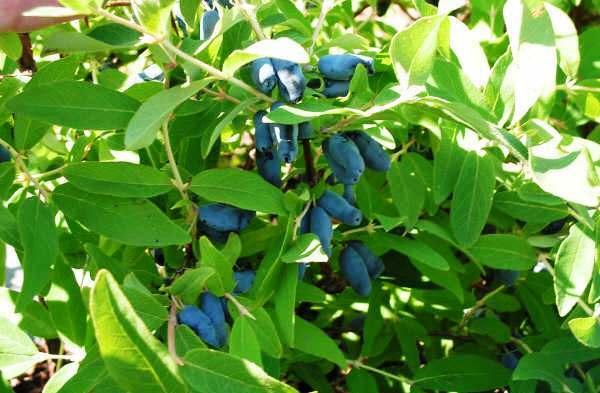 Honeyberries is an ideal fruit for growing in back yard. 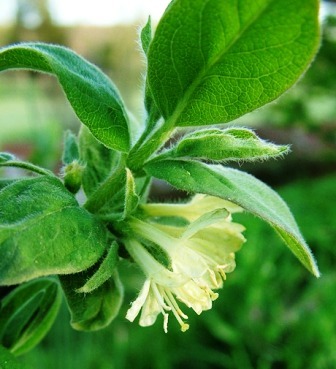 These are also equally suitable for growing in the orchard. 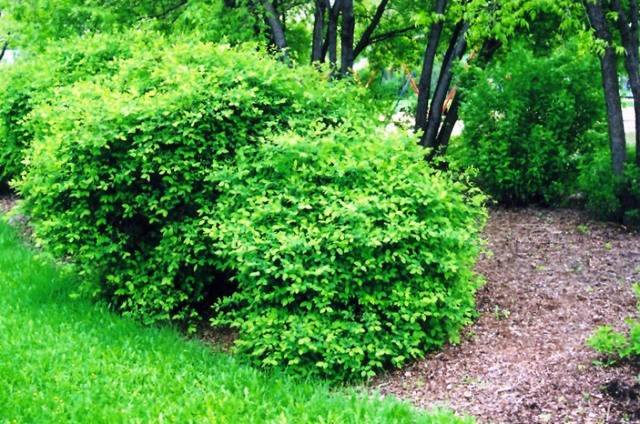 The shrubs require very little care and are extremely drought resistant. The plants should be planted on well drained soil. This fruit is hardly affected by any disease or pest. Honeyberry seems to be self unfruitful. It is therefore better to have atleast two varieties. Blue Bird and Blue Belle are from the far North and can bloom too early in milder winter areas or regions subject to warm spells in the spring. Blue Moon and Blue Velvet are two later blooming varieties. The advantage with these is that the pollinating insects become active when they start flowering.